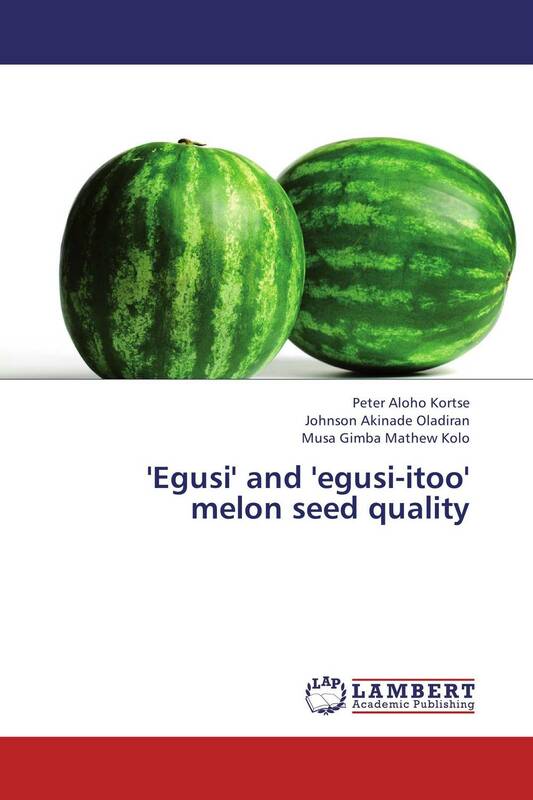 The acknowledgement of two species of a cucurbit known as ‘egusi’ melon [Citrullus lanatus (Thunb.) Matsun and Nakai] and ‘egusi-itoo’ melon (Cucumeropsis mannii Naudin.) as a major contributor to the socio-economic and nutritional status of West Africans is not in doubt. F. A. O. statistics which combines ‘egusi’, Cucumeropsis spp. and several cucurbita species put world production of melon seed in 2002 as 576,000 t from 608,000 ha. Production in Nigeria which was the largest amounted to 347,000 t from 361,000 ha. Melon seeds being rich in nutrients like energy, protein, fat, carbohydrate e.t.c. are used as active ingredients by certain industries for manufacture of confectioneries while the seed oil is used for soap making. These invaluable uses of melon seeds notwithstanding, little efforts have been made to reduce incidences of poor germination and seedling emergence in order that farmers may attain desired plant populations and hence higher crop yield. This book is therefore produced as an effort to bridge this gap. Public and private seed production agencies, individual seed farmers, and most especially seed science students shall therefore find this book a valuable resource.